This is a common concern I hear from a lot of GAA Athletes. In the case of those who are trying to gain weight, the usual answer is, “A lot”. But “A lot” isn’t a specific amount. How do you increase “A lot”? A bigger “lot”? Take a builder, for example. If they’re ordering bricks for a house they’re building, they can’t order “A lot”. They need to order a specific quantity, based on the information they have available to them, so that they aren’t just leaving the amount that arrives up to chance. This amount they order may not be perfect, but at least they aren’t leaving it to chance, and they can always adjust the quantity they order for the next house they’re building. Don’t get me wrong, when it comes to nutrition, I’m all for building up good habits around food quality, including eating mostly whole foods, minimising foods that are detrimental to health and prioritising food as fuel over using food solely for pleasure, but this isn't always enough. When building a house, it’s not enough to just use the best quality bricks (although it is important). You also need enough bricks to build the house, and preferably not too many. With nutrition, it’s not enough to eat good quality food (although it is important). We also need to have the right quantity. The nutrition version of bricks is calories. It may sound basic, in these times where fat-loss and weight-gain supplements, as well as complicated diets, are popular, but energy balance is still the key to your weight-loss or weight-gain goals. If you are trying to gain weight, but aren’t doing so, then you aren’t eating enough calories (supplying enough bricks). If you are trying to lose weight, but aren’t doing so, then you are eating too many calories (supplying too many bricks). Of course, whether that weight is in the form of muscle or fat is also determined by many other factors, including quality and quantity of resistance training and other training, and the breakdown and timing of the macronutrients that make up the calories. However, it is usually most optimal to gain muscle in a phase where you are gaining weight, and lose fat in a phase where you are losing weight. Firstly, I should say that there are online calculators into which you can put your details and get an estimate calculated for you. 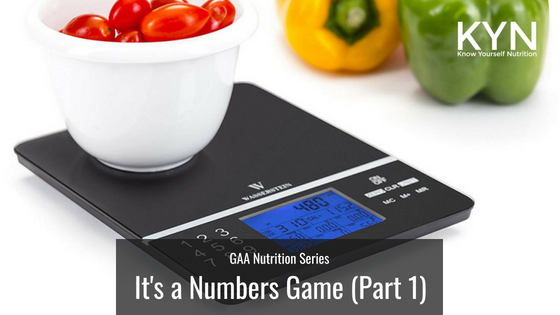 Most of these are decent, and some use the formulae we’ll go into today, but in this article, I wanted to walk you through the calculations in a way that you can learn the principles of energy balance and macronutrient requirements. BMR — Basal Metabolic Rate: This is an indication of the amount of energy you would need to simply keep your body functioning at rest. Essentially, the amount of calories you would burn if you laid in bed all day resting. TDEE — Total Daily Energy Expenditure: This is an indication of the amount of total daily energy you use in your actual life. This includes your BMR, as well as exercise, walking to work, lifting a box off the ground, tying your shoelaces, the energy burned breaking down food, etc. This is the value we want to know in order to determine how much we need to eat to gain or lose weight. So first off, we need to calculate our BMR. There are a few various methods of doing this, but for our purposes, we will be using a formula known as the Harris-Benedict equation. This might seem quite complicated, but when we put it into practice, its quite simple. Let’s say we have a 23 year old male who is about 80kg and 180 cm. So this individual has a BMR of about 1900 kcal. To re-cap, that means if he was to lie in bed all day, he would burn about 1900 kcal. But he obviously isn’t going to be doing this. He is actually a gaelic football player who wants to gain muscle. He trains hard with his club 3 times per week, and is in the gym 3 times per week. With this knowledge, we can start to estimate his average TDEE. To do this, we use a multiplying factor. In accordance with the Harris-Benedict equation, there is a range of these multiplying factors. Below is the guide used. We now have a rough estimate as to what this person would need to eat in order to maintain his weight. But he doesn’t want to maintain his weight, he wants to gain muscle. So that brings us to the next stage. In order to gain weight, he will need to be eating more than his TDEE. A good place to start is to increase it by about 10%. It’s important to note that these aren’t fixed variables, meaning that, for example, as you increase your energy intake, your energy output can also increase as a result, which can lead to less weight-gain than may be expected, in which case, energy intake may need increased again, as we’ll get into in the next section. The same is true when reducing calories. When someone reduces their calorie intake, their energy output can naturally decrease slightly as a result. We have now calculated a good estimate of the amount of calories the individual in our example would need to be eating in order to gain weight. However, as I mentioned at the beginning, this value is an estimate, and certain factors should be monitored to see if this is enough to stimulate muscle gain. Again, it is worth reiterating that when it comes to muscle gain, your gym-work is what stimulates the muscle to grow, and nutrition is simply what allows this to happen. In other words, the impact of nutrition on muscle gain is small compared to the impact of gym-work. The opposite is true to fat-loss. Fat-loss is primarily determined by your nutrition, with gym-work allowing you to build/maintain muscle in the process. Is your strength increasing week-on-week? If not, you may need to increase your intake by a further 100-200 kcal, until a point where you are making progress towards your goals. Even if you are progressing at this intake, there may come a point where this calorie intake is no longer allowing for muscle gain, at which stage, the caloric intake will need to be increased again. On the other hand, if weight is going up, but a lot of bodyweight is being gained (I usually count this at around 1.5kg per month and over, although it will be different for each person, based on experience, age, how much of the weight-gain is bodyfat, time of season etc. ), it is advisable to cut the caloric intake down by about 100-200 kcal. Are you maintaining strength in the gym, and performance levels on the pitch? If these two things aren’t happening, then you may need to make a change. There is going to be a balance between weight-loss and performance. If you are losing weight at a rate higher than that suggested above, the likelihood is that performance may be suffering, and therefore your intake should be increased, in order to allow adequate fuelling of performance. If you are not losing weight, then your intake should perhaps be decreased slightly (I would suggest by about 100-300 kcal) until a point where it is occurring and performance isn’t being majorly affected. There will be a lot of individual variation on where the balance lies. Some people will feel great even when losing a lot of weight. Others will need more of a slow-and-steady approach. The important thing is to track your progress, and be mindful of how things these are affecting each other. The quality of your food is important. The quantity of your food is important. Tracking your progress and adapting based on your progress is crucial.